Hi, everyone! Apologies for missing last week’s blog post. Long story short I went on vacation to Central America, and got hit with a bad case of food poisoning. Was doing the double-dragon and all (google with caution). Hint: numbers 2 and 3 on urban dictionary. Anyway…. enough about that. Today we will be continuing our ongoing “best of” series, by focusing on vitamin C serums. Specifically, ascorbic acid vitamin C serums since these are the most potent types available today. I’m always being asked for product recommendations — be it moisturizers, toners, chemical exfoliants, serums, sunscreens etc. I’m annoyed by gimmicky and inefficacious skincare after 7+ years of burning cash on lame products that only made my skin worse. You can read more about my story here. Note: not all of these were bad! Vitamin C (Ascorbic Acid) Benefits for Skin. 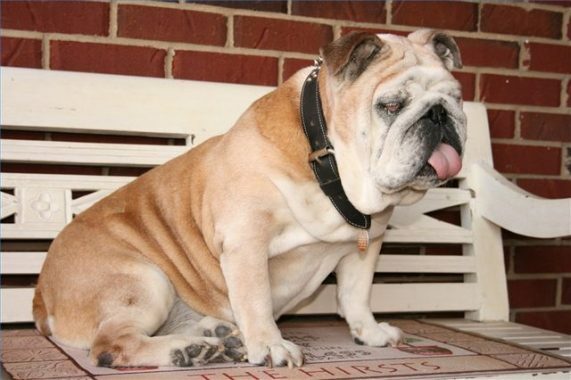 Multiple in vivo studies have shown it has strong anti-wrinkle effects. (4, 5, 6) This is probably due to its ability to directly increase collagen production. (7, 8, 9, 10, 11) Collagen being the main structural protein found in connective tissue throughout the body. It’s what makes your skin all nice and plump / bouncy! Note: the collagen boosting benefits of ascorbic acid also make it a good adjunct for the treatment of atrophic acne scarring. That’s the main reason I use it, which is something I discuss in my dermarolling guide. Unfortunately, collagen decreases with age (by about 1% every year after the age of 20, to be exact). (12) The result? Sag city…. Or aging. Fun fact: vitamin C is the most abundant antioxidant in human skin! With that said, there are a lot of vitamin C serums on the market today that will do diddly squat for skin for a variety of reasons — weak formulation, ineffective forms of vitamin C, and most importantly: WRONG pH. Without further ado, let’s take a look at the top 5 vitamin C serums. All of these have taken an evidenced based approach when it comes to formulation! So why is this dang thing so expensive? A couple of reasons. Not sure if that needs reexplaining, but just in case: combining vitamin C (ascorbic acid) with ferulic acid and tocopherol, makes vitamin C eight times more effective! Say waaaaaaat? 😮 Crazy, huh? Wanna know something even crazier? SkinCeuticals owns the patent on such a formulation! By law, this means that no other company is allowed to use “the holy trinity,” unless otherwise explicitly stated in some type of formal agreement (i.e. contract). And that folks, is the tale of mob SkinCeuticals — the biggest drug lords in America! I’m teasing. But seriously, that’s how they’re able to put such a high price tag on their product. Another thing that makes this vitamin C serum extraordinary is it’s lack of yeast-feeding ingredients. For those who don’t know, skin conditions like adult acne, eczema, seborrheic dermatitis, psoriasis, dandruff, tinea versicolor etc. are exacerbated by a commensal yeast that lives on the skin called malassezia. For more information about this yeast, check out my massive guide on malassezia, which goes into detail about how to treat the aforementioned skin conditions. I won’t go into much detail here, but SkinCeuticals is free of oils, fatty acids, esters, and polysorbates, meaning that if you have a history of any of the skin conditions I listed above, you can use this serum without having to worry about worsening your symptoms. Hooray! 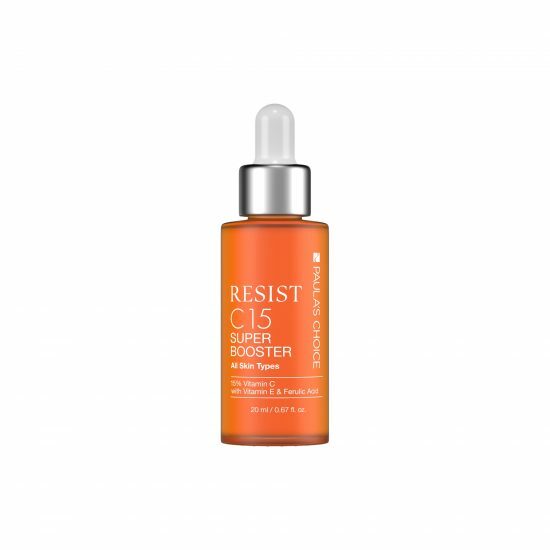 UPDATE 3/22/19: a couple people have pointed out in the comments that Dr. Brenner’s Vitamin C Serum is an extremely affordable dupe for Skinceuticals! It even includes holy trifecta (vitamin C, E, and ferulic acid) and is equally safe for malassezia! :O This now takes the number one spot on the list! pH of 2.5 – 3. 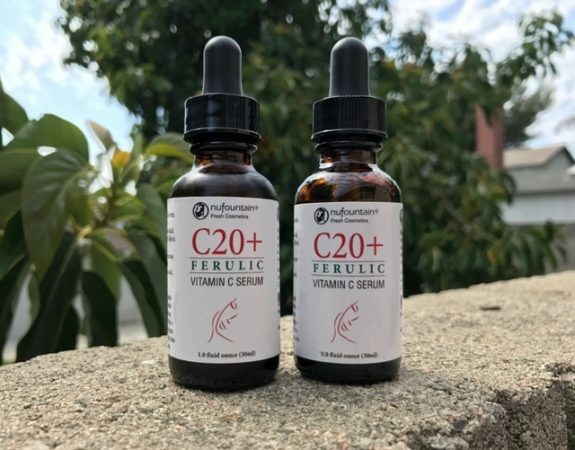 Next on our list is a far more budget-friendly option, and what I use personally: the Nufountain C20 Ferulic. As you can see from the photo above, I’ve gone through two bottles of this stuff in the past. In english that means it will protect your skin from sun damage to a greater degree, than ascorbic acid would by itself. Considering 80% of skin aging is attributed to UV rays, that’s excellent news if your primary concern is anti-aging! Pro-Tip #1: apply your vitamin C serum before sunscreen! This boosts the sunscreen’s effectiveness. What’s particularly awesome about Nufountain is that they make their serums fresh with every order. This ensures you won’t be receiving any oxidized vitamin C.
Ascorbic acid is a terribly finicky ingredient to formulate. It degrades quickly when it comes into contact with light (usually within 1 to 3 months). You will know it’s gone bad when the liquid starts to turn color like you see in the picture below. Notice how it’s slightly yellow? (I promise I didn’t pipette urine from a toilet bowl.) This is the color of vitamin C that is just starting to go bad. Fresh vitamin C (ascorbic acid) should always be crystal clear. 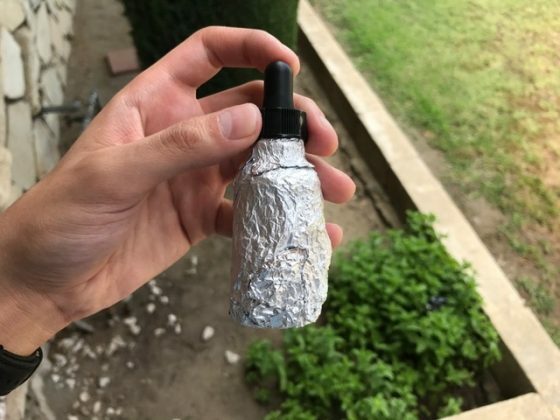 Pro-Tip #2: extend the shelf-life of your vitamin C serum by wrapping it up in foil! This makes the bottle lightproof, and is a simple way to protect light-sensitive substances. Depending on the manufacture, fresh ascorbic acid isn’t always a guarantee. Take a look at reviews online and you’ll quickly find this is a common complaint of many buyers. Luckily for us, Nufountain makes this is a non-issue, so we can happily stroll along applying our glow-inducing face serums! 😀 Woohoo! Water, Ethoxydiglycol, 20% L-Ascorbic Acid, Propylene Glycol, Alpha Tocopherol, Polysorbate 80, Panthenol, Ferulic Acid, Sodium Hyaluronate, Benzylalcohol, Dehydroacetic Acid, Fragrance. Many consider the Timeless Vitamin C serum a cheaper dupe to the expensive SkinCeuticals. You may have noticed that, it too, contains the holy trinity (i.e. ascorbic acid, ferulic acid, and vitamin E). However, it’s not without its share of caveats. For one, this serum isn’t for everyone. It contains polysorbate 80, which feeds malassezia. This is potentially bad news for those with adult acne, eczema, pityrosporum folliculitis, seborrheic dermatitis etc. Secondly, there’s no way of guaranteeing we’ll receive a fresh batch. UPDATE 7/9/17: I’ve gotten a couple messages and comments from people saying this has never been an issue, and that Timeless arrives fresh every time! This is another great option for those who AREN’T sensitive to malassezia, or especially acne-prone, since it contains hydrogenated castor oil. An ingredient that can be pore-clogging to some. As for the freshness factor. According to Paula’s Choice, oxidation is less of concern with their vitamin C because it comes in a UV protected bottle with an air-tight dropper system. Additionally, there are 2 other skin-repairing ingredients (i.e. sodium hyaluronate, panthenol), and a synthetic peptide (acetyl Octapeptide-3) that may help the appearance of wrinkles. The bottomline: Paula’s Choice C15 is slightly more expensive than Timeless, includes the holy trinity of SkinCeuticals (vitamins C, E, and ferulic acid), somewhat ensures the freshness of Nufountain, but may not be the safest pick for sensitive or especially acne-prone skin types. 5. OST C20 or OST C21.5. These are two different serums from the same brand. Here are their respective ingredients. Both of these are formulated with proper pH to work but have their fair share of weaknesses, which is why they come dead last on this top 5 list. Let’s start with the OST C20. Right off the bat we see that alcohol (ethanol) is pretty high up on the ingredient list. Denatured alcohol isn’t the best ingredient to use on skin. Yes, it helps create a more cosmetically elegant finish, and acts as degreasing agent, but that comes at the cost of drying out the skin. Ascorbic acid can already be a little irritating on its own because of the inherently low pH required for it to work. The last thing we want to do is further complicate matters by throwing in other suspect ingredients. Secondly, it has hydrogenated castor oil like the Paula’s Choice C15. Again, you’ll want to avoid this ingredient if you’re especially acne-prone or have malassezia sensitivities. There’s also sweet orange oil in the formula. Just…. why? Citrus oil can be skin sensitizing. And then we have the fact that they used tocopherol acetate instead of tocopherol as their vitamin E source. Why is this bad? Because there is evidence that tocopherol acetate may actually accelerate photocarcinogenesis! (25) This is the exact opposite thing we want it to do! That is, protect against skin cancer! Yes, there are good things about this serum too. For example, it comes with ubiquinone, panthenol, sodium hyaluronate, gluconolactone, niacinamide, beta-glucan etc. which are all very EXCELLENT ingredients for skin health. But I feel that they lose their appeal for the reasons I stated above. 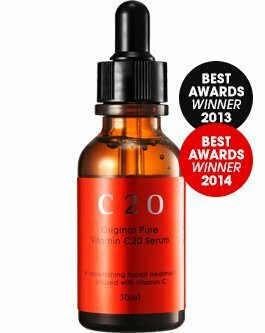 As for the OST C21.5 — this is great serum for sensitive skin. There’s nothing in there that’s sensitizing or will cause break outs. Like the Nufountain C20 + Ferulic, it is also 100% safe for adult acne, malassezia, and particularly sensitive skin. It also comes with 3 amazing skin repairing ingredients (i.e. sodium hyaluronate, panthenol, and allantoin). The downside being there’s no vitamin E or ferulic acid in the formula. That means it has less photo-protective abilities than Nufountain, and a considerably shorter shelf-life. Are you rich? Got lots of money? Or REALLY care about skincare? :p Go with SkinCeuticals. It comes with vitamin E and ferulic acid to increase the effectiveness of vitamin C eightfold, and is great for everyone and all skin types. UPDATE 9/20/18: or get Dr. Brenner’s Vitamin C Serum! 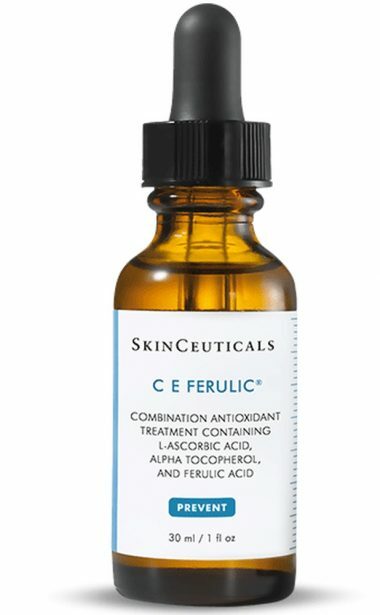 It’s an extremely affordable dupe for Skinceuticals that includes the holy trifecta (vitamin C, E, and ferulic acid)! In my opinion, this is the best option on the list given its affordability and safe ingredient profile. Another cheap option without vitamin E that’s slightly less effective, but guaranteed fresh upon order is Nufountain! This too is great for all skin types. 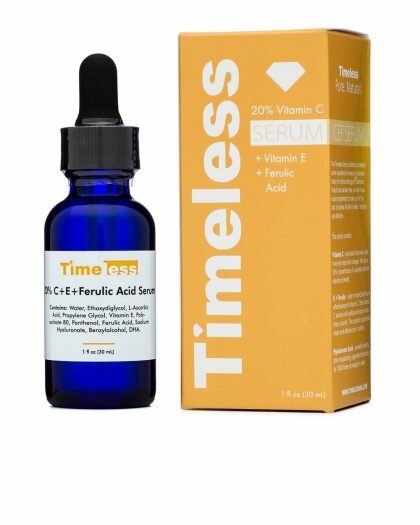 The Timeless Vitamin C Serum is another dupe for SkinCeuticals and Dr. Brenner, however its pH is rather low which can be irritating. Additionally, there are some inactive ingredients in there that aren’t safe for folks with sensitivities to malassezia. Welp, that does it for this blog post folks. I hope it was helpful and you’ve learned something new today. Hey there, I am new to this site and I have too commend you on the wealth of great information and research. I have a request, though. Could you find another way to describe poor products instead of use of the word “retarded?” It’s pretty offensive and unnecessary. I recently stumbled across your blog and it is wonderfully informative – thank you! I recently started using Dr. Brenner’s Vitamin C serum on a whim. I have no prior experience with vitamin C to compare, but love Dr. Brenner’s so far. I’m trying to figure out how Dr. Brenner is not a infringing rip-off of Skinceuticals, however, and also still tempted to try others because of my never-ending quest for better skin. Have you heard of Dr. Brenner and, if so, any words of caution on it? This is the ingredient list: Water, Ethoxydiglycol, L-Ascorbic Acid (Vitamin C), Propylene Glycol, Glycerin, Laureth-23, Tocopherol (Vitamin E), Sodium Hyaluronate Blend (Hyaluronic Acid Blend), Ferulic Acid, Panthenol, Triethanolamine, Phenoxyethanol. I haven’t seen any skincare blogger reviews on it or discussion on reddit, which surprises me. Would love your thoughts. Amazon is not an authorized seller of skinceuticals. They do not recommend getting it from Amazon and there have been issues with customers receiving oxidized product or even fake product. 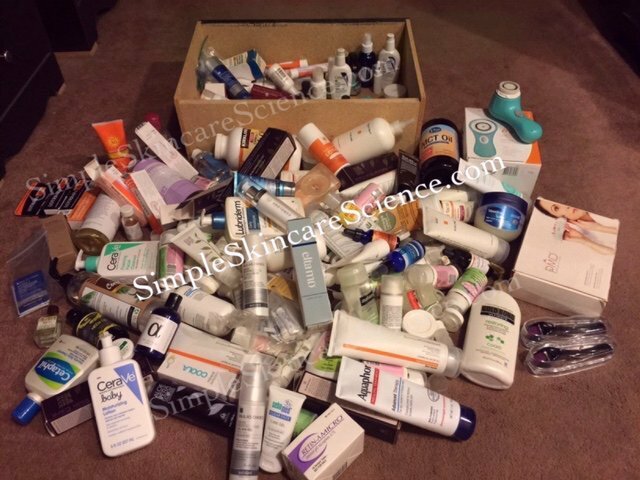 I think if you’re going to spend the money make sure you get it from an authorized seller, which can be found on the skinceuticals website. Loving this piece on malassezia approved Vitamin C!!! Thank you!!! Trying to determine if “anti aging”products out there are effective is hard as it is, adding malassezia safe to it makes it even harder. I’m glad I can come here to find options!!! Whats next? Peptides, growth factors (humans), retinols, peels? Anything anti aging PLEASE 🙂 I did read your piece on tretinoin but the 0.025% didn’t go well for me. An excellent, informative post as always. I’d be curious to know how ascorbic acid compares and contrasts with the other vitamin C derivatives that aren’t dependent on a low pH, for example sodium/magnesium ascorbyl phosphate (many serums are available that contain these in 10% or 20% concentrations and claim to have brightening effects). I noticed one (rather hilarious) typo: I’m pretty sure you meant to say that Malassezia is a “commensal” yeast, not a “commonsensical” one, haha. Late to the game, but thank you for the analysis which was, as always, very informative. FWIW, I use Paula’s Choice (after six months of Skinceuticals, which was AWESOME and made my skin glow, but left me with little beer money 😉 ), and I haven’t had problems using it on my acne-prone skin. Granted, I don’t believe you and I have the same kind of acne, but I will say almost everything not formulated with acne in mind will break me out. I do use a LOT of actives, though, so maybe I just wore my skin out (very scientific theory here). Just sharing my experience! I was wondering, do you know of any ultra natural products that are still as effective as the products you list in all of your posts? I know that asking for 100% natural is a LOT, and also sometimes impossible for some formulations, but many ingredients in products I’ve seen in ur posts concern me, and since my skin is so sensitive it’s like impossible to find anything. I was thinking u may know of some products. I love natural and holistic combined with science, and so I try and use the info on this site to find the perfect combo, but it’s like not happening for me! 😭😫😫😫 You know SOOOO MUCH, so this is like my last hope. I’m having so much trouble with my skin, but want to keep it 💯 with mommy earth. THANKS! Very informative site, can’t get why I haven’t found my way here sooner?! So sorry you had food poisoning. I noticed that in your post, you said to apply Vitamin C prior to sunscreen in order to enhance the sunscreen’s effectiveness. How would you go through the wait time in the morning? I also like Nufountain, though the price has crept up significantly since I first tried it a few years back so it no longer feels like such a bargain dupe for Skinceuticals. Would you be able to boost its efficacy by applying a Vitamin E- rich oil (i.e. : Argan) after the serum? How about Map Hippie vitamin c serum u recommended in ur previous post? Which one will be better ? Besides, do u use hada labo hyaluronic acid moisturizing lotion in ur daily routine? The lotion seems include esters in it, will it promote fungal acne? Thanks a lot! 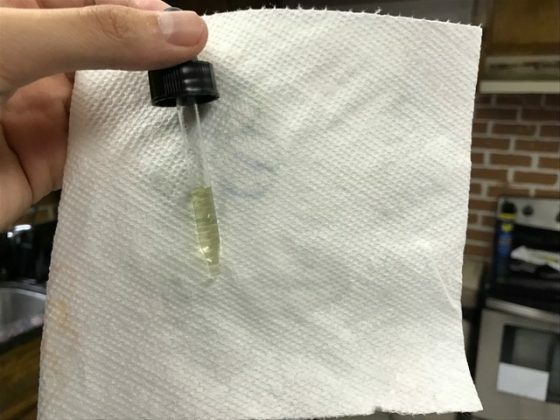 I make my own vitamin C serum. You can get solid L-ascorbic acid from most vitamin stores, and you can even buy additives like glycerol or add vitamin C to steeped green tea, chamomile tea, or rose water. You’d have to boil everything before adding the vitamin C, let it cool to room temperature, then add the vitamin C and dissolve. That way it kills most bacteria. Personally, I just use ascorbic acid plus distilled water (no boiling needed). The final pH is not as low as these commercial products. My pH indicator strips show a final pH of 3-4. It’s extremely cheap and it works for my needs. Plus if you use all food grade products, you can put it on your lips. First of all I love your blog. Between you, Liah Yoo and Gothamista (youtubers) have literally changed my life. Love you hahahaha. I am writing here because I want to ask your opinion on Vitamin C serum from Drunk Elephant and liposomal serum from sesderma (the one I’m currently using). Just a quick ‘nerd mode’ question- isnt the Laureth 23 a bad guy for us acne prone darlings? Its a whopping 3 on COSDNA ! one more thing, have you ever tried benton aloe propolis soothing gel? I’m currently using it and I think its malassezia safe! i! I’ve been reading our blog for a while, always so informative! I was just looking for some information on vitamin c serums, as the one I’m currently using is ok, but nothing particularly amazing (Obagi C10, the japanese formula). I was actually looking at a serum from japanese brand Takami, called “Takami Essence CE”, which also contains vitamins C, E, as well as ceramides and a whole bunch of other ingredients. They do not disclose the concentration, though, so it would be a shot in the dark. Awesome overview! Have you tried Skin Actives at all? I’m going with NuFountain for now (this post actually helped me *finally* make up my mind between NuFountain and Timeless, thank you thank you thank you), but I’ve had Skin Actives saved for a while. Also I heard good things about Skin Deva, but their website creeps me right the f out, looks like it was created by old white bread dudes who think skincare is only for vain women. They write like they ask themselves “Now, what do women *want*?” before every sentence. I’m almost certain that the review I read was sponsored, despite sponsorship not being disclosed, and coming from someone I trust. If you want a laugh, check out the Skin Deva About page and take a gander at the beautiful stock photo background. Incredible.